So Angry Joe just did the worst games of 2018 list. Number 10 was Madden. But, EVERYTHING he's saying translates to FIFA too and it's a **** joke. Linked below at the correct time for anyone interested. Just started a new villa career on this with the default rosters (eg no loans)... Has anyone else found it much easier to sell players in this version than previous ones? I put up pretty much half the squad and have been getting offers for pretty much all of them. Also anyone have any good youngish players to get? Already bought Davies from Vancouver and Durkin from DCU. How do y'all do the youth scouting networks? Been meaning to set mine up but haven't gotten around to it. Yeah, it's very easy to sell players I believe. I've had heaps of random clubs just come in for players and to get them off my books. In fact I've sold so many players my squad is done to the bare bones. On the bench I have Davis, Hepburn-Murphy, Hourihane, Chester and a couple of youth teamers. One which is about to surpass Gulacsi in goal and is still a teenager. I've been playing through The Journey since I had it. Man it's a slog. Too many games. I've still not spent a penny on FUT but have built a handy squad with a decent fitness team too. I only get to play at most twice a week for a couple of hours but I really enjoy the trading and squad building that I can do on the app whilst I'm watching TV. I've only recently finished building my first team with FB David Villa and haven't used it yet. Villa, Jordan and Rodrigo are all new and I haven't tried them yet. 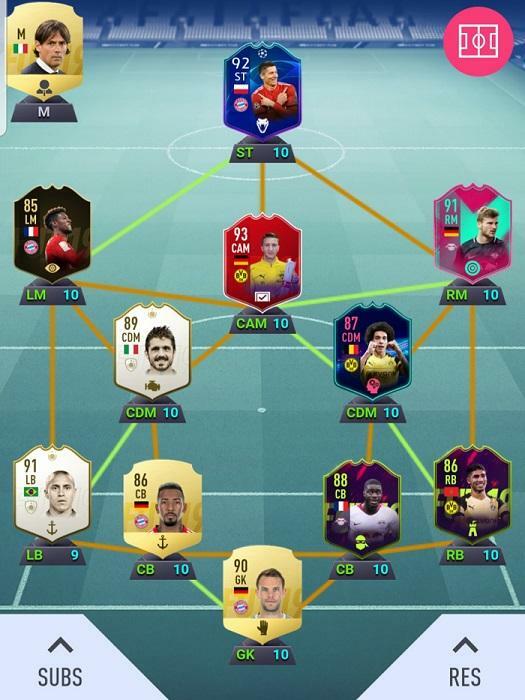 My new addition to the fitness team is Thauvin, so I'm excited to try him too. Falcao was originally the focal point of my first team. His goalscoring record is absolutely superb. I loved using Falcao as first choice but it was so hard to build an exciting team around him. I've only used Villa in 7 games so far, but he's scored 5 times. I'm still getting used to him, but so far he's ok. Both good options he scored me 37 goals in this wknd leauge. 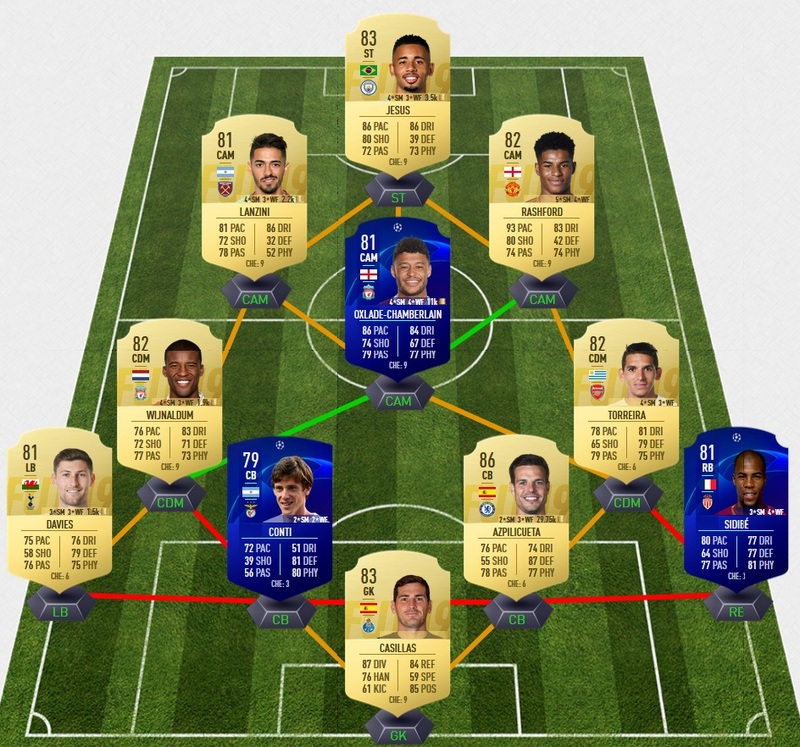 What formation and custom tactics are you using? I've changed my team up again, slightly, as I wasn't getting the most out of Williams and Rodrigo in those AM positions. Will now be starting with a 4-5-1 with Coutinho and Bale on the wings but switch immediately to 4-2-3-1 so they take those wide AM roles. Jordan has replaced Modric, with Hagi now the central AM. I've upgraded Partey to the new 86 version. I really wish they'd get rid of contracts. How do you get so many good players? They cost a fortune and getting coins is a slog. do you bother with the team building stuff to unlock packs and get rid of your lower bronze silver players or just transfer list them for coins? Personally, it's a grind. I like doing SBCs and I do a bit of bronze pack trading. I've been playing for a couple of months, but I haven't been able to build up a squad as good as the ones above. Got Bellerin at RB after I found he cheap on the market. 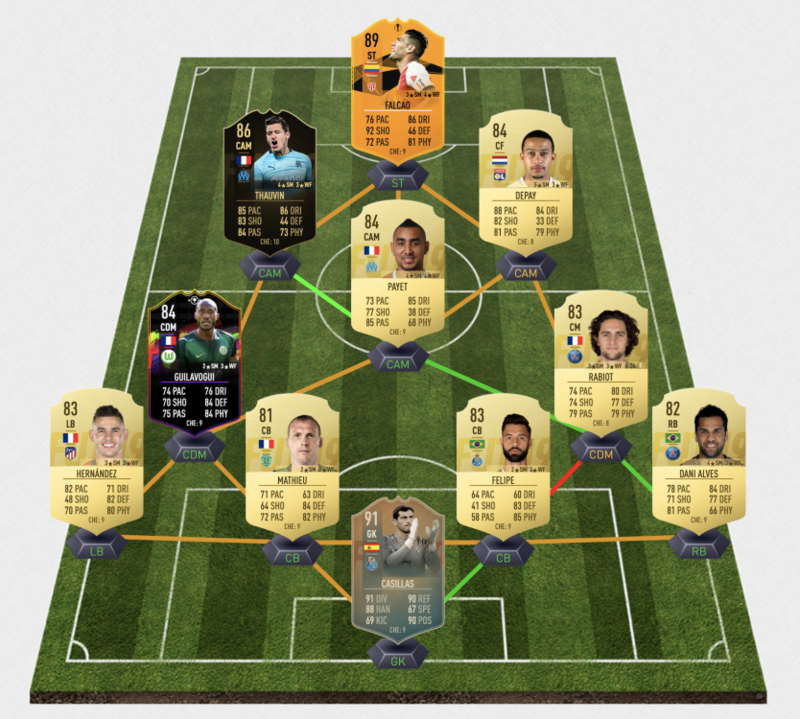 80 rated gold, but better cohesion with surrounding players and bit faster. 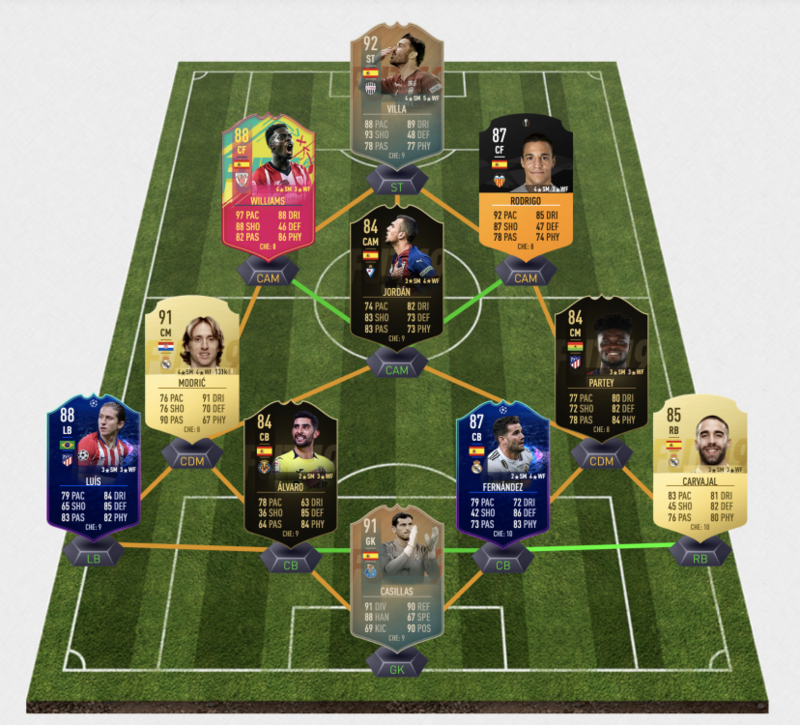 Just Conti and Casillas to replaced and my Base Premier League team will be complete. John Stones or Davinson Sanchez I think at CB (I like a turn of pace). Might look at a decent priced Alisson or Kasper for GK. Kepa if the price is right. Marquee Matchups once a week is definitely worth doing. When it first came out I made loads in buying silver players at 200-250 coins and selling them for 400+, it took a bit of time but was pretty easy. This is my squad now. Ended up getting an 82 rated Bailly (1700 coins) to replace Conti and Pickford (1600 coins) to replace Casillas. Sold both for a profit so that’s nice. The other thing is, the Premier League is the most popular league and therefore the prices are generally higher for the players. Annoying that you can't sell players you pull from packs. Just have to reinvest them in the Squad Build Challenges. I've made around 10k coins this morning selling some players though. Nacho I brought for 1200k coins the other day, sold him for 4.5k earlier. That's the kind of profit I like. It's hands on, but buying and selling has benefits.